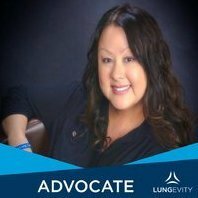 These are the inspirational and personal stories of the LUNGevity LCSC members. Do you have general questions about lung cancer? Post them here! We will reply with links and resources. This forum & site are NOT substitutes for professional medical advice. Please read all site disclaimers and consult your treating doctor about everything you read on the internet. News posted here may not necessarily be endorsed or supported by LUNGevity in anyway, should NOT be taken as medical advice and are for informational purposes only. You can create your own blog, chat, and more! Learn the basics and ask site support questions here.